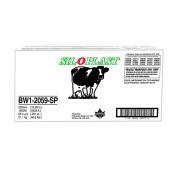 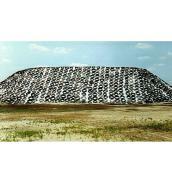 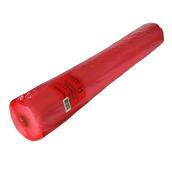 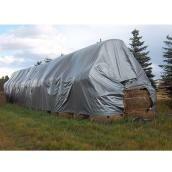 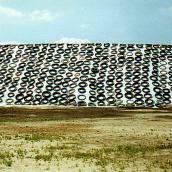 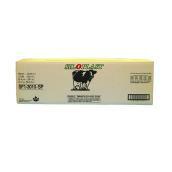 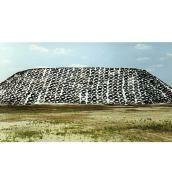 Silage tarps provide the coverage you need for safe outdoor storage of large amounts of hay. 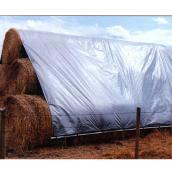 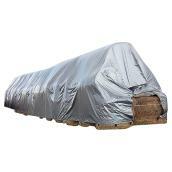 Wrap your supply up with baler twines, then drape a tarp over the stacks to protect them from sun exposure. 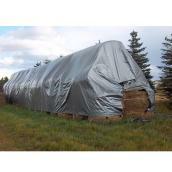 Silage covers often feature a white outer layer that reflects heat and a black interior that increases opacity and ensures complete UV blockage. 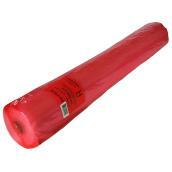 They are available in a range of sizes to meet your needs. 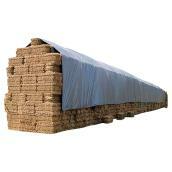 We also offer bags and bale wrapping to contain and transport individual hay bundles.